The Or Shalom Board of Directors is pleased and honoured to announce that it has ratified the recommendation of the Rabbi Search Committee to offer Rabbi Hannah Dresner the position of our new rabbi beginning in July 2015. We are happy to report that Reb Hannah has accepted our offer with delight. This completes the lengthy and thorough rabbi search process we began over a year ago. Following two very full shabbatonim and a process of discernment that included in-depth reviews of the 2013 community survey, candidates’ letters of application, resumes, references, writing samples, board interviews, community meetings, and the community feedback surveys on the candidates, the Rabbi Search Committee concluded that Reb Hannah fulfills all the qualities in a rabbi that are important to our community and that will enable her to successfully lead Or Shalom into this next chapter. We would like to thank and acknowledge all of you, members of our Or Shalom community, whose diverse interests and needs we have kept at the forefront of our minds. Thank you for your tremendous caring, interest, and input into this process. We look forward to welcoming Reb Hannah and her husband Dr. Ross Andelman into our community and to sharing many exciting, meaningful and transformative moments together as a community. Rabbi Hannah Dresner received rabbinic ordination and ordination in spiritual direction from ALEPH: Alliance for Jewish Renewal. 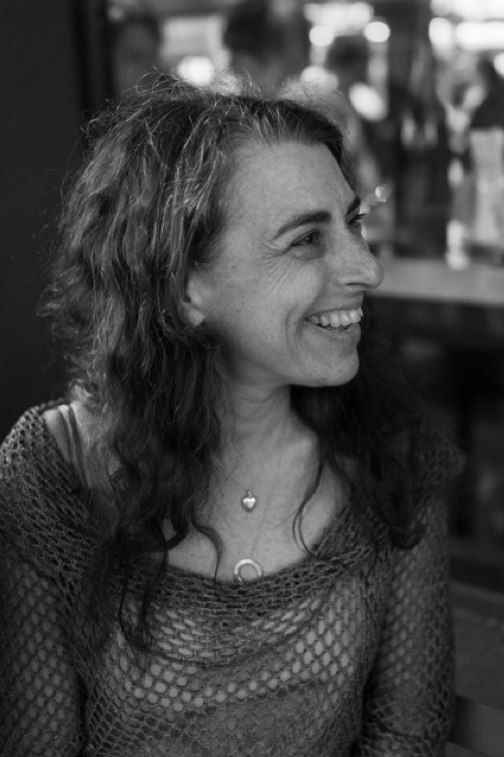 She comes to the rabbinate with experience as an educator, piloting curricula in the arts at Northwestern University and creating participatory programs for the Spertus Museum of Judaica in Chicago. A founding member of Chicago’s post denominational minyan, Lomdim, and of Or Zarua, the Reconstructionist Chavurah of the East Bay, Reb Hannah has facilitated large-scale High holiday services for Congregation Netivot Shalom in Berkeley where she co-leads a niggun and meditation group. She serves Reform congregation B’nei Torah in Brentwood, CA as visiting rabbi, and travels extensively to teach chassidic texts, the art of prayer and niggun as spiritual practice. Last August she served as a featured prayer leader and speaker at the shabbaton commemorating Reb Zalman in Boulder. Reb Hannah is a member of the four person Jewish Renewal Bet Din, has completed a CLAL (The National Jewish Center for Learning and Leadership) student fellowship, and has been selected as a new blogger for Rabbis Without Borders. Reb Hannah is delighted to be Or Shalom’s new rabbi and is very much looking forward to the exciting possibilities the future holds. She believes that what enlivens religious community is our sense of its relevance to the questions we are presently living. A synagogue community attains its fullest resonance when its every program answers to an expressed or perceived need, whether that need is to satisfy an intellectual curiosity, experiment in a modality of opening to the divine, a need for social connection or support in aspects of family life, whether it is a need in the realm of social justice, to mark comings of age, to lament or bear witness or be witnessed, a need of help in cultivating gratitude or restraint or courage, or in holding one of the myriad dualities of life, and on. Reb Hannah embraces the spectrum of Jewish truths and is committed to offering the broadest possible platform upon which to build the works of art that are our lives. She supports a wide range of ways in which to experience Judaism so that our religious lives truly address our human needs, and so that we flourish. As Or Shalom’s rabbi she will foster inclusive community embracing those coming to the tradition for the first time, educated Jews and those once estranged, blended families of every flavour, individuals of all capacities, all ethnic, racial and gender pluralities. She looks forward to her relationships with congregations of all ages, each of us seen and ministered to, given voice, offered enrichment, partnered with appropriate sub-communal affinity groups and pastorally companioned. This entry was posted in OrShalomInfo and tagged rabbi, Rabbi Hannah Dresner. Bookmark the permalink.